The Calgary Dinos are national champions. Tied at 77 with just nine seconds on the clock, head coach Dan Vanhooren drew up a play for all-star Mambi Diawara and he didn’t disappoint. 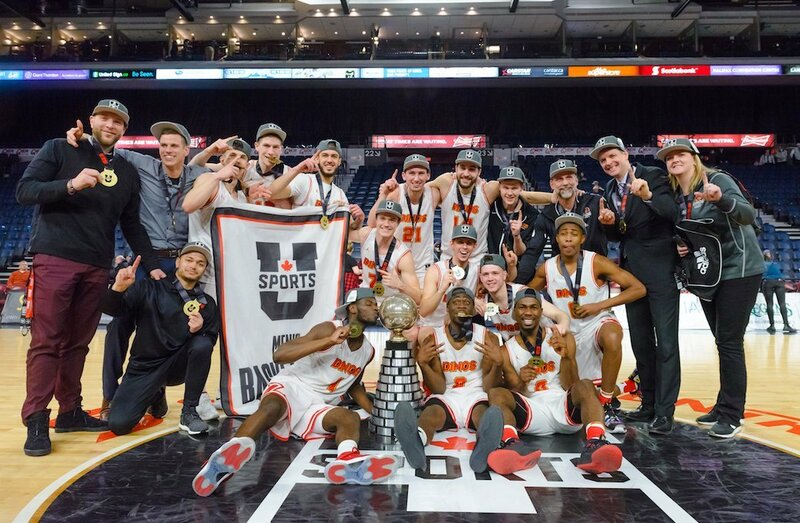 The fourth-year guard from Montréal drove left to the basket and laid it in for the game-winning shot, as the Dinos captured U SPORTS gold in a 79-77 thriller against the Ryerson Rams. The big man from Germany, Lars Schlueter, got Calgary off to a strong start with 10 consecutive points to give them a 10-4 lead midway through the first. Ryerson’s Jean-Victor Mukama matched Schlueter’s production and helped trim the deficit to 21-18 after 10 minutes of action. “I told (Sportsnet’s) Tim Micallef before the game started one of the key things that needs to happen for us to have success is that Lars needs to hit some shots. And if he does, we’re pretty tough,” said Calgary head coach Dan Vanhooren. “The floor opens up and we can play at another level. With a championship on the line, the defensive intensity was high. Both teams were crouched in their stance and nothing came easy. 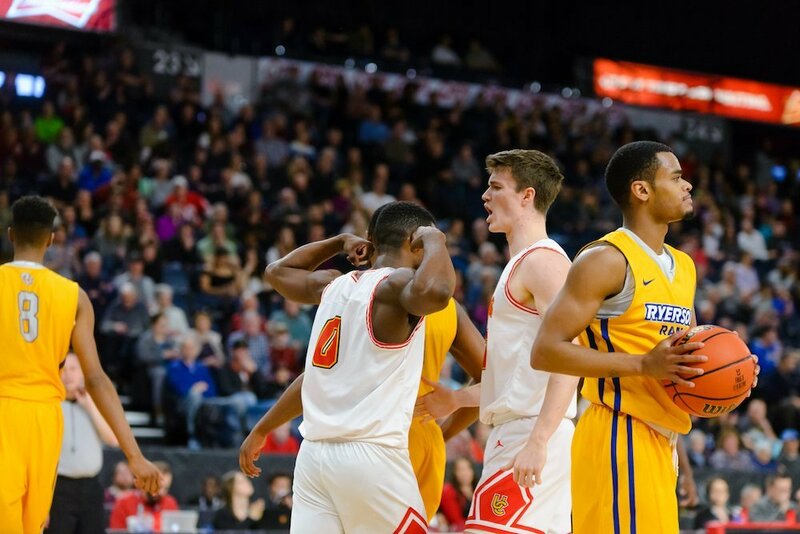 But the Dinos’ defence was just a little bit better in the second quarter as they stifled the high-powered Rams and held them to just 12 points on 37.5 per cent shooting. Fourth-year point guard Kapinga carried his team through the gritty frame, putting up seven of his 14 first-half points to give Calgary a 39-30 advantage at the break. Kapinga finished with a team-high 25 points, while adding eight rebounds and six assists. After a quiet first half, Ryerson’s Manny Diressa was a man on a mission. In five minutes, the all-star scored eight of his 12 third-quarter points to pull his team within four, 46-42. The opponents traded baskets for the remainder of the quarter before Kapinga pulled up for a fadeaway jumper in the paint to give Calgary a slim 57-51 lead heading into the fourth. 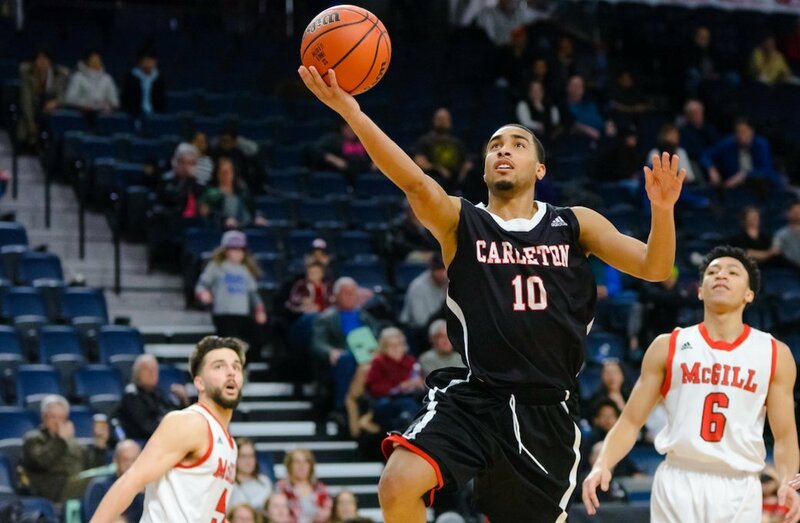 Diressa continued where he left off and scored five-straight points, including an old-fashioned three-point effort, to give Ryerson their first lead of the game 59-57 with 7:13 to left in the game. From that point on there were several lead changes. Basket for a basket, three for a three, the championship contenders fought until the bitter end. 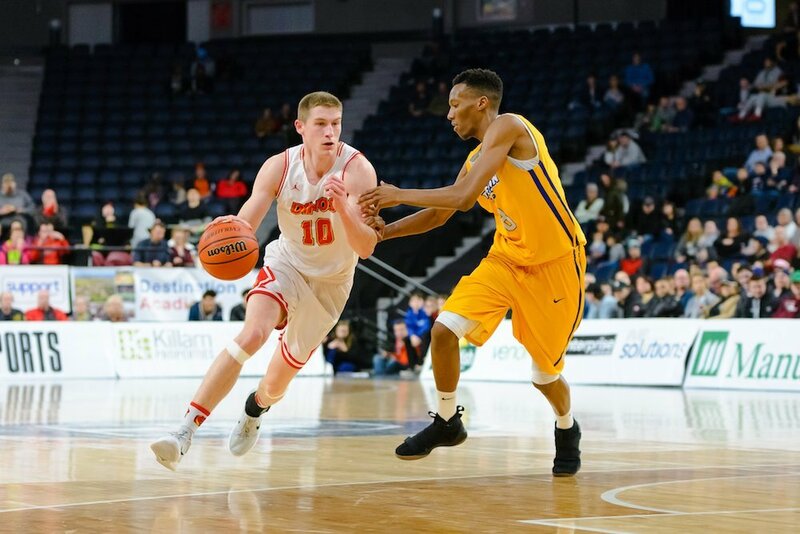 Tied at 68 with 3:16 remaining, Schlueter drilled a trey and followed it up with a thunderous dunk in traffic for two of his 18 points, giving the Dinos a 73-70 edge. With ice water in his veins, guard Lucas Mannes, drained another three to put them up 76-70 with 59 seconds to go. The Rams looked down and out, but after Kapinga split a pair of free throws, Diressa raced down the floor and tied the game with a pull up three, bringing his point total to 28 for the game. Following a timeout, the Dinos top player throughout the year, Diawara, drove it to the hole and laid it in for the gold-clinching deuce.